Rotek has focused on high quality engineering expertise and excellent customer service since its founding in 1962. In addition to manufacturing forged seamless rolled steel rings, Rotek is the U.S. market leader in manufacturing slewing bearings. Slewing bearings made in Aurora, which range from 80 inches to 240 inches outer diameter, are used to rotate heavy machinery and machines that lift heavy loads, including offshore oil drills, shipping cranes, earth borers and wind turbines. 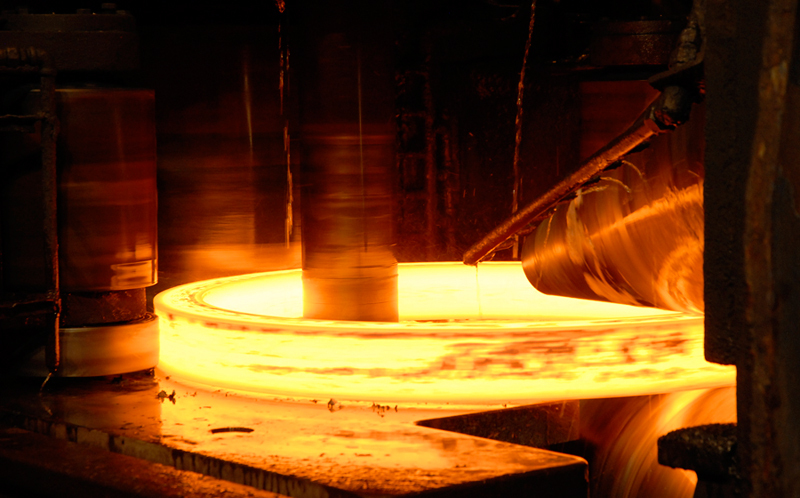 Its Florence plant produces smaller forged rings and slewing bearings, from 15 inches to 80 inches outer diameter, which are used in construction equipment such as excavators. To meet customer demand, Rotek has made major investments in people, processes and facilities. Over the years, the company moved its headquarters from Ravenna, Ohio to Aurora, has built new plants in Aurora and Florence, and added production lines. Starting in 2008, it invested $82 million in its Aurora operations, including construction of a second ring mill. Today, Rotek is the only vertically integrated U.S. company to combine the forging of seamless rolled rings with slewing bearing production at one location. ThyssenKrupp companies employ approximately 1,100 people in Ohio, including those who work for Rotek, and 18,500 in the United States.